Spring is in bloom in Japan today. In this season there are also some activities, culture, until the usual food only exist in this blossom spring. 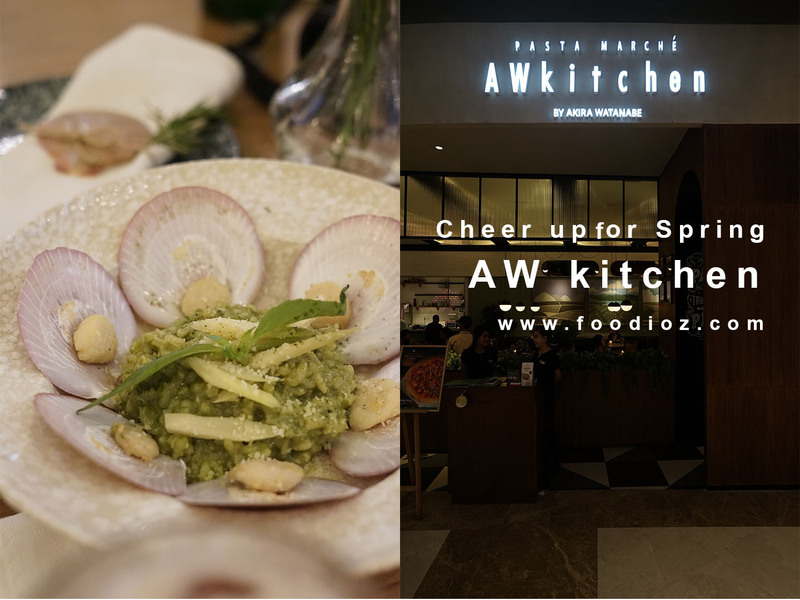 This time AWkitchen Jakarta presents a new menu concept in arrangement to welcome the spring with a modern style that fits the current trend. 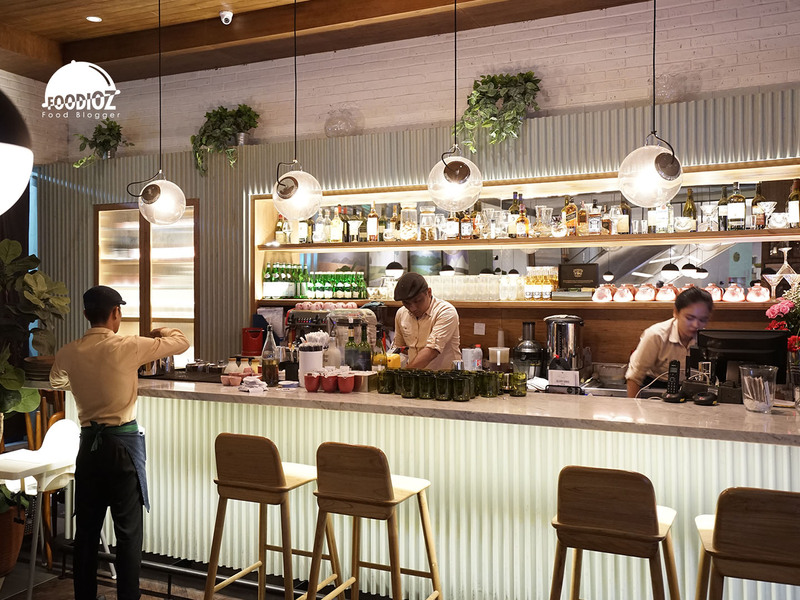 AWkitchen is a typical Italian restaurant with a modern Japanese twist. In 2004, Chef AKira Watanabe as founder of AWkitchen started his business in Japan famous for pasta dishes, Bagna Cauda. Experienced in Italy, Chef Akira combines Italian dishes with Japanese ingredients such as Spaghettini in Garlic Oil with Spicy Cod Roe and Japanese Mushroom. 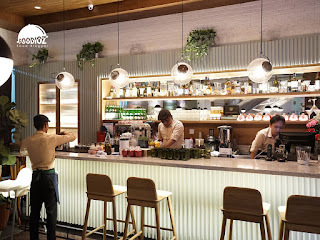 Currently AWkitchen already has 20 branches in the world including in Jakarta. Located at PIK Avenue outlet, with some Jakarta bloggers, we had the opportunity to taste some of AWkitchen's new dishes using the Italian Japanese fusion theme. 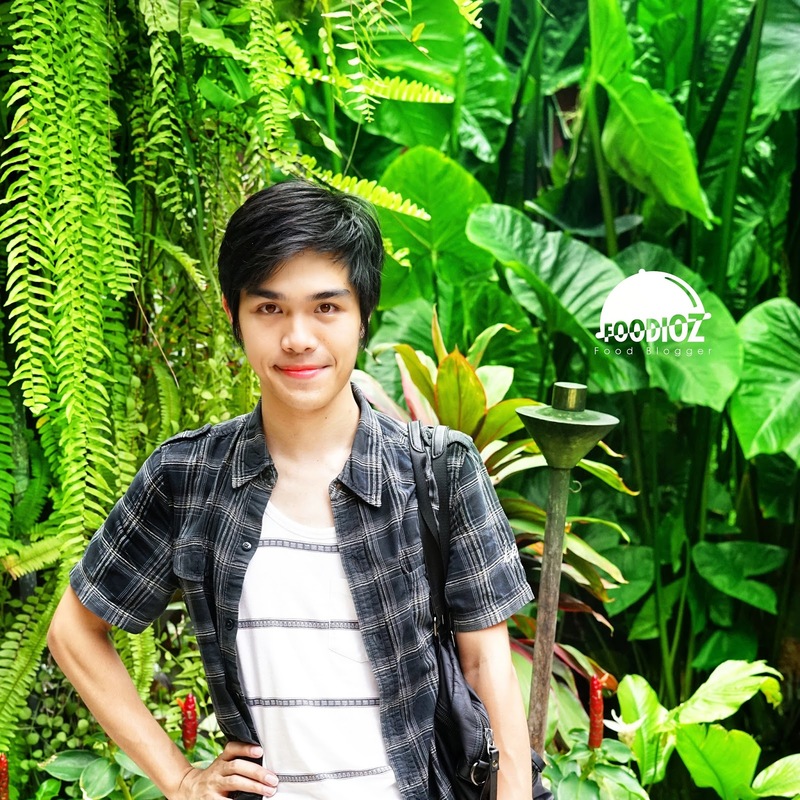 Mr. Lowrenz Tajuwidjaja as Director of Operations AWkitchen, he said last year they used pasta artisans, but this time it is consistent with the Italian risotto served to give the experience of enjoying taste-rich Italian cuisine, using authentic cooking methods and of course the fun experience. Risotto dishes such as Baked Risotto Salmon & Brocolli, rissoto served with smoky salmon slices, broccoli preparations and coated with tasty tomato cream sauce. 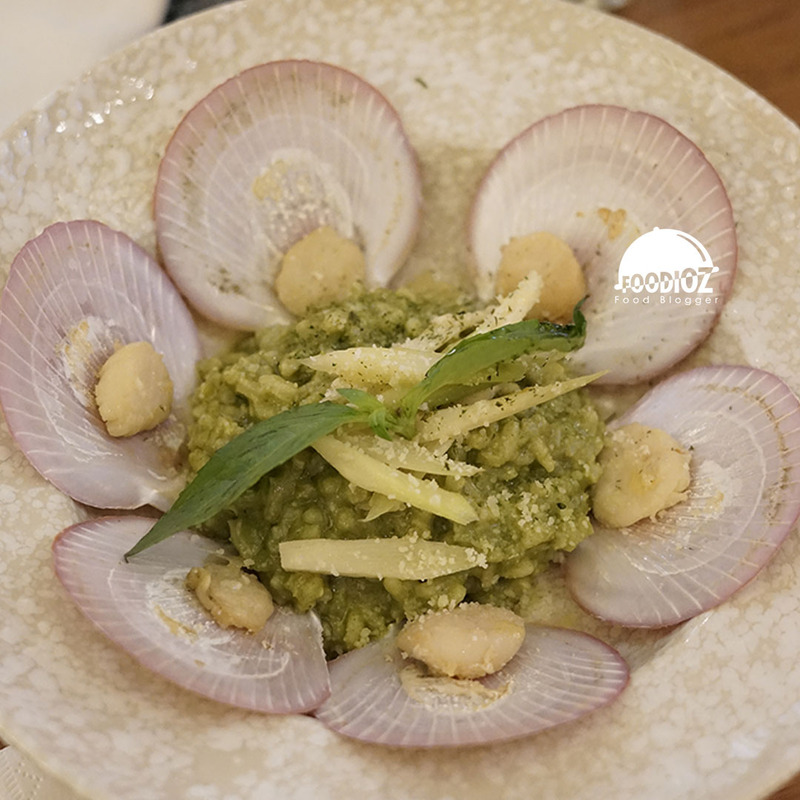 One of my favorites is Baby Scallop Risotto in Genovese Sauce. The risotto dish with an attractive green color of genovese sauce is similar like pesto with a fragrant aroma. 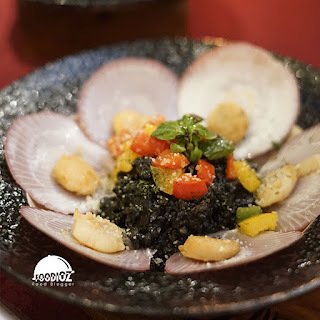 The texture of the risotto is nice, but it would be better if the scallop is not too dry. In addition to risotto, no less interesting there is US Prime Beef Rib Eye. 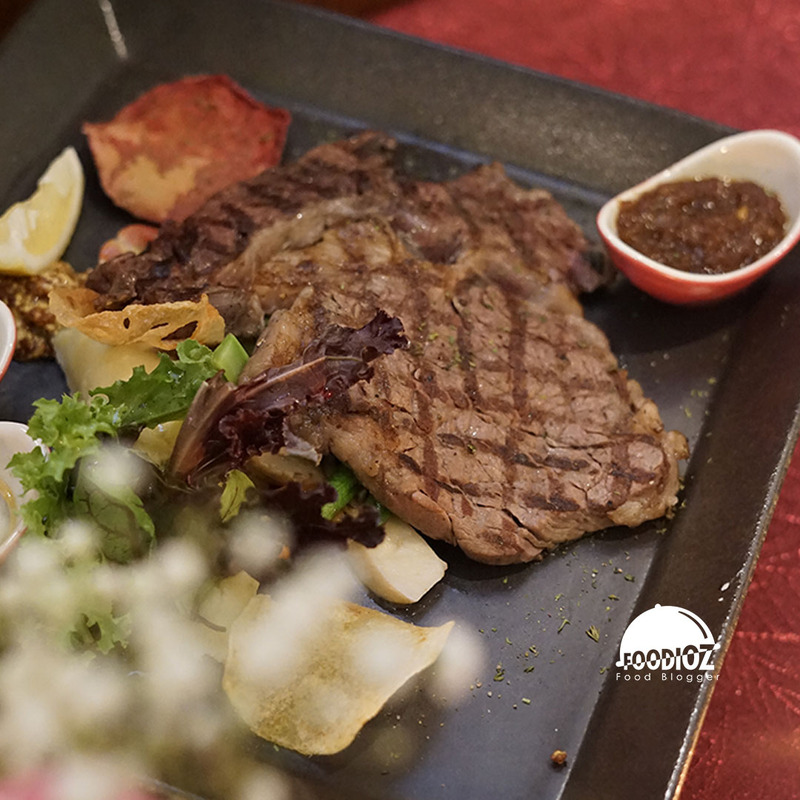 A quality beef steak dish, super-tender and juicy texture. 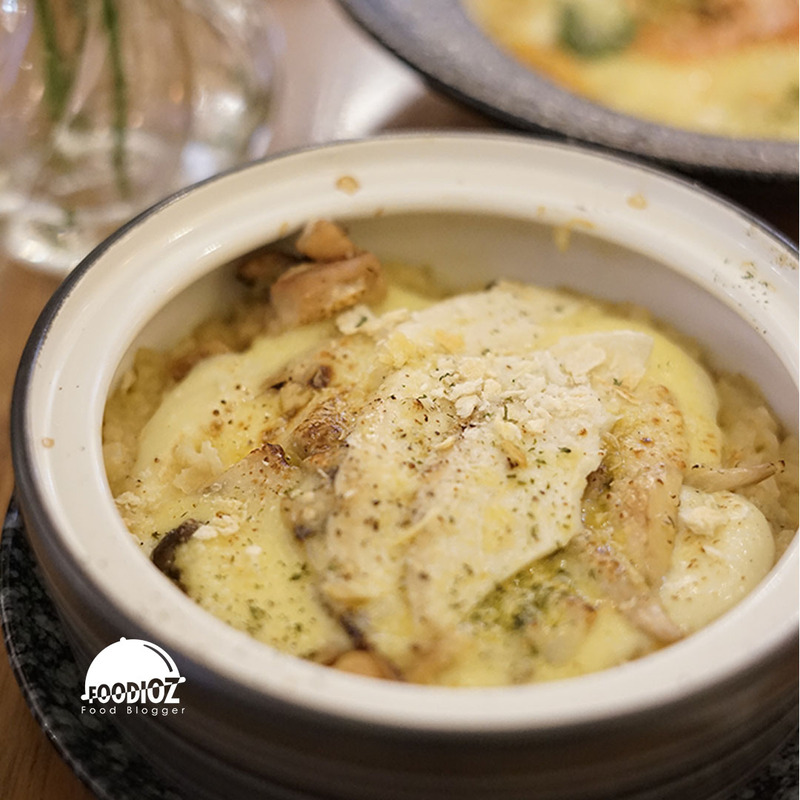 Served together with a fragrant mashed potato of truffle oil, then 3 different types of sauces that have different tastes, gives a pleasant sensation. These menus will only be able to enjoyed during the spring period until May 2018. In accordance with the concept of AWkitchen, the price offered is quite high, but the quality and experience for visitors to enjoy Italian dishes with a modern Japanese touch will be a satisfying moment.